Tips for the Perfect Lip Makeup. Lip makeup plays a crucial role in all the makeup process, as if it is not done properly it can ruin your entire appearance by making you look ridiculous. When it comes to lip makeup there are a few tips and tricks in order to choose the right lipstick color or redefine their shape and make them look thinner or fuller according to the result you are searching for. Whenever talking about lip makeup, there is one important and essential principle. Lip makeup has to be lighter if you have emphasized your eyes. In this case a lip gloss would do. On the other hand, if you want to bet everything on your lips, here are some useful tips. First, choose a lipstick color that suits you. For this, the draping step cannot be ignored. However, rules say that dark-haired women should go for red or maroon shades, blondes should choose lighter colors in pink hues, while for red-haired the best option is orange. Women having thinner lips should avoid dark red lipsticks that will only make their lips look even thinner than they really are. Dark colors are known as volume reducers, that's why women with thin lips should go for fair colors. If you want to make them look thicker, pick a lip liner close to the color of your lipstick and make an outline outside your natural lip. Also, a shimmery lip gloss can add plumpness to your lips. Apply the lip gloss on lipstick or alone. Therefore, you should avoid lip gloss if you have thicker lips. 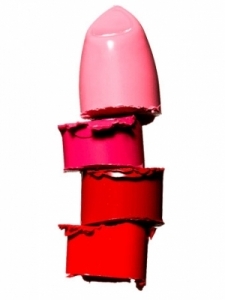 Lipsticks can be matte, glossy, creamy or frost. You should know that a shimmery lipstick is better than a matte one as it makes your lips look fuller. If your lips are too thin or too fleshy, a good makeup could give the illusion of magnifying or diminishing you lips' size. For this, you need foundation, a lip balm, a lip liner, a lipstick and a gloss. Start by smoothing out the lip contour using foundation. Afterwards, it will be much easier to redraw the contours of your lips, going beyond your natural contour if you have thinner lips, or on the contrary, making an outline inside the natural lip line if your lips are fuller. In both cases start in the middle point of your lips and go towards the corners of the lips. For thin lips, apply some lip gloss in the middle of the lower lip for thickness effect. If your upper lip is narrow, choose two lipstick colors, a darker and a lighter one. Apply the darker one on the lower lip, and use the lighter one for the upper lip. You can also apply a lip liner but only on the upper lip, and try to pick a shade that is close to the one of your lipstick. If your lower lip is narrow apply the same trick but doing everything upside-down. For shapeless lips, use a lip liner and make a "V" so you define the bow area going beyond your natural lip line, and then draw more curved lines to the corners of the mouth. It is preferable to apply lipstick using a lip brush. Lip makeup for mature women. It is a normal thing that as the years pass by the color and the shape of a mature woman to change. A lip liner is the answer in order to keep the lipstick from bleeding. Choose one that is close to your natural skin color. You can also put on a lip gloss over your lipstick so your lips to look fuller. 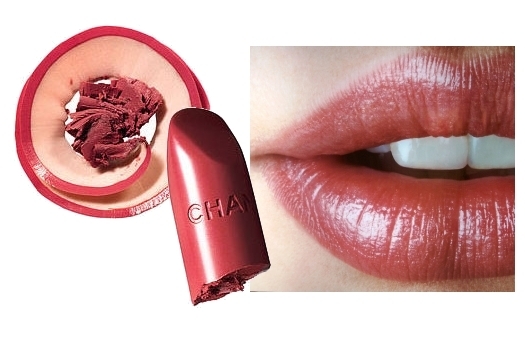 Avoid matte or glossy and go for creamy lipsticks. You should never use a darker liner with a light lipstick. Women having full lips should avoid glossy lip colors and they don't really need any lip liner. Don't apply a thick coat of lip gloss over the lipstick. Apply it instead in the center of the lips and even it starting from there. 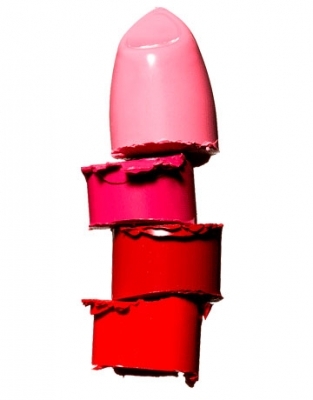 If you want to make your lipstick long-lasting, you should apply two coats of lipstick. After the first coat, press the lips on a tissue paper and then apply the other coat. 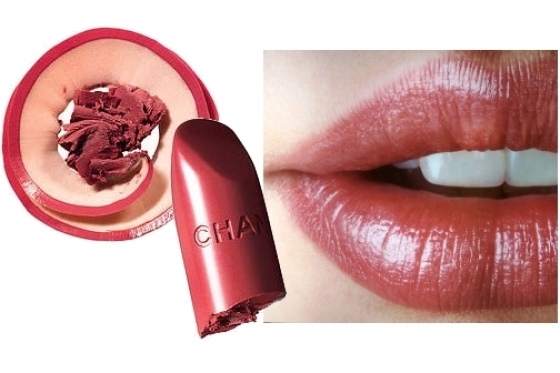 If you want to hide yellow teeth, lipstick with blue undertones such as plum, pink, or violets. Use special lip creams with vitamins A, E or C so you can boost the amount of collagen in your lips.